Kourier Integrator provides out-of-the-box Enterprise Application Integration (EAI) functionality for integrating your MultiValue systems in real-time with external applications. With all of the cloud-based, mobile and niche third-party applications that are available today, plus the Internet of Things (IoT), the adoption of real-time integration is growing rapidly. RESTful Web Services (Representational State Transfer) are the preferred technology for real-time integration because they are easier to use and the resource-oriented model is more flexible than previous SOAP, RPC and WSDL-based interfaces. Kourier RESTful Web Services and the Kourier REST Gateway are Kore’s easy-to-use and versatile real-time integration solutions for MultiValue (MV) systems based on the "clicks not code" approach. Kourier REST streamlines and simplifies the process of building and testing bi-directional integrations using RESTful Web Services. The REST Gateway provides secure, scalable real-time access to MV applications via REST APIs from inside or outside the corporate firewall. Kourier REST allows you to create bi-directional (read/write) application programming interfaces (APIs) to your MultiValue application data using REST-based principles that provide full integration with external applications via real-time query and updates. Kourier’s REST development framework is designed to simplify, streamline and accelerate the process of building secure, real-time REST APIs, enabling developers to be more productive. Kourier's RESTful interface supports the use of "resources", automatic data validation, dynamic named query parameters and more. Quickly create, test, document and deploy secure RESTful Web Service APIs using standard HTTP methods with much less effort that typically required when developing Web Services. API developers are more productive creating APIs within Kourier’s REST framework because they can focus on the application interface instead of low-level protocol details such as data validation, resource security and transaction logging. 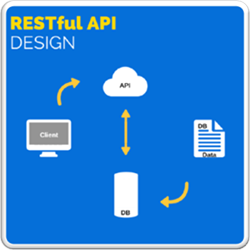 REST APIs are created primarily using configuration pages and "clicks not code." For more advanced requirements, developers can use powerful Event Handlers to leverage existing application business logic or add special instructions within REST resources at specific timing intervals. API consumers are also more productive using Kourier REST APIs because they are more developer-friendly and easy to use. Developers can quickly build APIs by converting Swagger definitions into code for over 40 programming languages. Plus, REST features such as API Subscriptions (aka Webhooks), pagination, field limiting, dynamic sorting and query wildcards can be utilized with no additional programming effort, reducing the time and cost required for application integration. Kourier REST Gateway: Secure. Rated. Measured. The Kourier REST Gateway is a important component of the real-time integration architecture. It’s responsible for providing secure access to MultiValue applications from inside or outside the corporate firewall via published Kourier REST Resources while it monitors, manages and measures REST Resource usage. Gateway administrators can define Policies that limit (rate) the maximum number of requests per minute/hour/day for each user, so organizations can feel confident about exposing their system to the outside world without worrying about API users consuming all of their resources. Kourier Integrator REST solutions have a rapid and guaranteed implementation. The solution pricing includes all the software and services needed for a complete solution, and we'll even help you with your first project. Note that Kourier Integrator solutions are installed on your U2 application server and Web server and must meet certain minimum requirements, call Kore for details. See Kourier REST in Action!